CBD has long been a consistent performer of the overall cannabis market as industry leaders have enjoyed the flexibility of loopholes surrounding legalities, as well as a rising consumer sentiment toward alternative health options. CBD-infused products have allowed companies to expand into a variety of industries and continue to generate higher and higher revenues. The hemp-derived CBD market is projected to top $590 million in revenue, according to the Brightfield Group. 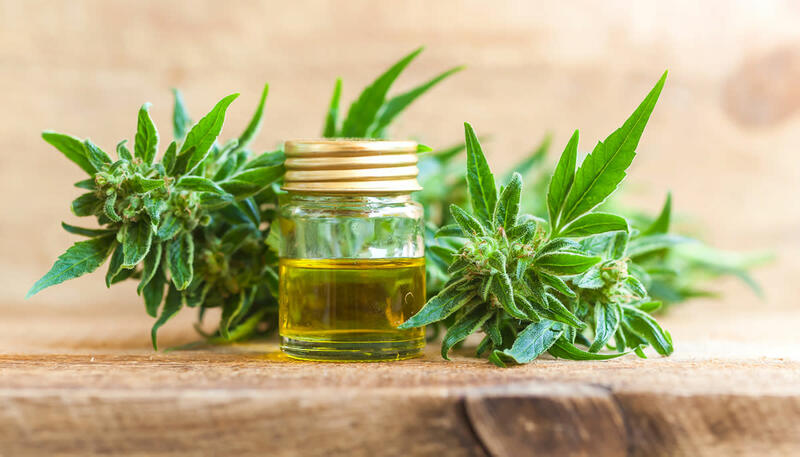 The industry will continue growing as it matures, and is also expected to receive a boost if legislation removes CBD as a controlled substance in the near future. Active Companies from around the market with current developments this week include: Marijuana Company of America, Inc. (OTC:MCOA), MariMed Inc. (OTC:MRMD), HEMP Inc. (OTC:HEMP), Terra Tech Corp. (OTC:TRTC), Aphria Inc. (NYSE:APHA) (TSX:APHA). Marijuana Company of America, Inc. (OTCPK:MCOA) BREAKING NEWS: Marijuana Company of America, an innovative hemp and cannabis corporation, is pleased to announce that its wholly owned subsidiary hempSMART™ is launching a direct response television ad campaign in a strategic partnership with asseenontv.pro (ASONTV). In early November 2018, ASONTV and hempSMART will release a television commercial campaign promoting the Company's hempSMART Full Spectrum Pet Drops, formulated with 250mg of non-psychoactive hemp derived Cannabidiol (CBD) oil, on major cable networks in select regions across the United States. The 60 second TV ad campaign will run for 6 weeks from its starting date with a total of 300 different featured advertisement spots. The ad campaign will promote hempSMART's Pet Drops as an all-natural alternative for pet owners to traditional products in the market place. The Company anticipates that the increased attention gained from the commercial ad campaign could drive more customers to the other products featured under the hempSMART CBD product brand. Donald Steinberg, "As our hempSMART brand continues to grow, MCOA will continue to search for and utilize new partnerships that will uniquely market our incredible collection of all-natural CBD product formulations. We feel that our strategic partnership with ASONTV is an important milestone for the Company that will help promote our hempSMART Pet Drops to consumers across the country." MariMed Inc. (OTCQB:MRMD) announced the Maryland Medical Cannabis Forum (MMCF) to offer Marylandmedical professionals the opportunity to enhance their knowledge about medical cannabis treatment. The Maryland Medical Cannabis Forum will take place on Thursday, November 8th, 5:00 pm at the Royal Sonesta Harbor Court Hotel, 550 Light St., Baltimore. 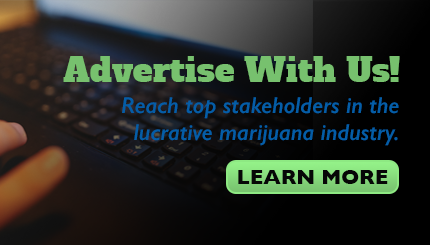 The MMCF, a collaborative effort between MariMed, Tikun Olam, and MedChi of Maryland, was created to provide to the Maryland medical community current and credible information on the state of medical cannabis research and practices-and how it affects the 40,000-and-growing Maryland medical marijuana patients. "Educating the medical community about cannabis' clinical applications and supporting research is critical to increasing acceptance of cannabis as valid medical treatment and reducing the stigma associated with it," stated Robert Fireman, CEO of MariMed. "We are proud to sponsor this event with several of the industry's top medical cannabis practitioners, researchers and experts." Terra Tech Corp. (OTCQX:TRTC) announced that on November 2, 2018 it signed a non-binding letter of intent (the "LOI") to merge with Golden Leaf Holdings Ltd. (CSE:GLH.CN) (OTC:GLDFF) ("Golden Leaf"), a cannabis company with cultivation, production and retail operations built around recognized brands. Under the terms of the letter of intent, a wholly owned subsidiary of Terra Tech will amalgamate with Golden Leaf, with the resulting amalgamated corporation being a wholly owned subsidiary of Terra Tech. Consummation of the transaction is subject to a number of conditions, including entering into a mutually agreed definitive arrangement agreement, completion of due diligence, the waiting period for the Hart-Scott-Rodino Act, state and local regulatory approvals, approval by the Ontariocourts, Terra Tech board approval, Golden Leaf receiving a positive fairness opinion, Canadian Securities Exchange (the "CSE") approval and Golden Leafshareholder and board approval. The LOI provides that Golden Leaf shareholders will be entitled to receive 0.1203 common shares of Terra Tech for each common share of Golden Leaf held (the "Exchange Ratio"). Terra Tech currently has 79.2 million shares outstanding. As a condition of closing, Terra Tech will be required to list its shares on the CSE. Listing will be subject to satisfying all of the CSE's requirements. Upon closing, Derek Petersonwill remain in his position as CEO, with William Simpsonto become President of the combined company. All references to currency are in U.S. dollars, unless otherwise indicated. There is no assurance that the transaction will be consummated on the terms outlined above or at all. Aphria Inc. (NYSE:APHA) (TSX:APHA) recently announced it has established an agreement with Rapid Dose Therapeutics Inc. ("RDT") that grants the Company with exclusive global preferred rights to license, manufacture, distribute and sell RDT's QuickStrip™ innovative, proprietary delivery technology for both medical and adult-use cannabis market. The Company intends to begin production of oral thin strips at its production facilities in Leamington, Ontario in 2019. "Aphria is excited to revolutionize the way patients and consumers integrate cannabis into their lives and to bring QuickStrip™ technology - a product unlike any other - to the cannabis market," said Jakob Ripshtein, President of Aphria. "This agreement with RDT further demonstrates Aphria's commitment to bringing advanced products and innovations that will fit the needs of every consumer. Further, the QuickStrip™ technology will help ease concerns surrounding consumption by providing a product that delivers a consistent and precise dosage form." Hemp Inc. (OTCPK:HEMP) recently announced it is featured in an article by FxPips ranking Hemp, Inc. among the top 15 leading hemp producers in the U.S. and Canada. FxPips is an online publication that provides investors with market research and trading news. The article highlights the huge potential for agricultural revenues from hemp and includes Hemp, Inc. as one of the top companies to watch in the industry. The article, "15 Leading Hemp Producers in Canada and US, Oct. 23," details the immense growth potential within the cannabis industry, highlighting the 15 most prominent industry players as of October 23. The industrial hemp industry has seen a resurgence in the U.S., especially with the skyrocketing popularity of cannabidiol (CBD) hemp oil. The CBD market is expected to hit $591 million this year, and it may grow 40 times this size-to $22 billion by 2022, according to a new report by Brightfield Group.